Is your 2016 marketing strategy missing something? Rather than risk being lapped by their competitors, smart marketers know that they need to keep ahead of the innovative trends, technologies and tools becoming available. But whether it’s social media, all things mobile, or the Internet of Things, unbridled excitement for what’s “new” can gobble up a disproportionate share of budgets, actually limiting your brand’s engagement and reach to consumers. So, where should businesses direct their scarce marketing resources? Well, there’s a different answer for every enterprise at any given time. The key is to identify what’s been effective, carefully meld it with what’s now suddenly possible, and then ensure you can actually implement your chosen strategies. Are you leveraging mobile effectively? The importance of mobile search, optimization, and conversions (in fact, consumers’ increasing fascination with all things mobile) is now embedded in the modern marketing playbook – but only if you’re harnessing the technology effectively. It’s imperative, for instance, that your existing website performs on mobile devices. Desktop websites in mobile browsers do poorly when it comes to converting visitors into customers. Text is often too small, links are difficult to click and calls to action are frequented obscured – assuming buyers actually get that far. Mobile pages that take more than 2 to 3 seconds to load, for instance, typically experience a high rate of abandonment as impatient visitors move on. Remember, thanks to their constant connectivity throughout the day, mobile users view much more content than desktop users. Designing content with mobile optimization in mind – such as making it scrollable – will keep them in your ecosystem, not push them away with incompatible experiences. Another way to reach out to customers is by using mobile apps to keep them abreast of new products and promotions. Deals that are only available through your mobile channel, for instance, will encourage shoppers to check in with you more regularly. You can also use a buyer’s location to extend unique offers that coincide with holidays, weather, or other events. 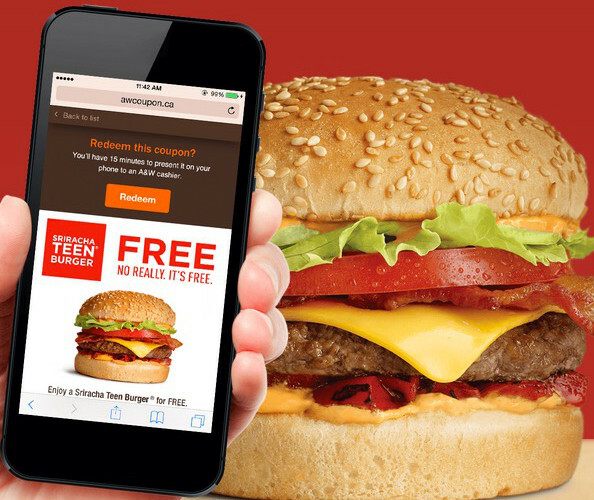 A&W recently launched a highly successful mobile campaign heralding the newest addition to its burger line up. Once buyers respond, they receive a text coupon to redeem at participating A&W restaurants, as well as an invitation to join its VIP Club to receive more special offers. Adopting a similar “opt-in” list building strategy can help you establish a direct connection with customers and enhance your existing database. Consumers will always seek out the best tools to streamline and simplify their shopping. So, is your business ready for mobile payments? As they gain traction, services like Apple Pay and other mobile wallets will reduce the need for retailers to have traditional point-of-sale devices, for instance. This could quickly become the new normal. Roughly 21% of Starbucks transactions in the U.S. are already being made using mobile devices. Starbucks has added further value to its mobile payment platform by integrating it with its ordering system. Thirsty shoppers can now place an order and pay for it before even setting foot in a store. Not sure whether you’re there yet? Use Google’s Mobile Friendly tool to check what your customers see. Will your content pass muster? Content marketing is already one of the most important areas of e-commerce promotion and it’s expected to grow even more in 2016. According to one study, 93% of companies plan to maintain or increase their investments in content in the coming year. Are you ramping up accordingly? As more brands morph into publishers, content needs will have to evolve beyond simple information and into delivering compelling messages that are adaptable across several platforms, all the while catering to the tastes of divergent audiences. Consumers love to share visual content such as videos, photos, and infographics. Rather than of simply focusing on product-oriented blog posts, think about investing in visual content and high-quality media that has the potential to go viral, extending brand awareness and interaction. Consider, for example, what craft supplier Michael’s is doing with its YouTube channel. Other savvy companies are positioning themselves as experts in their industries to influence buyer behaviour. 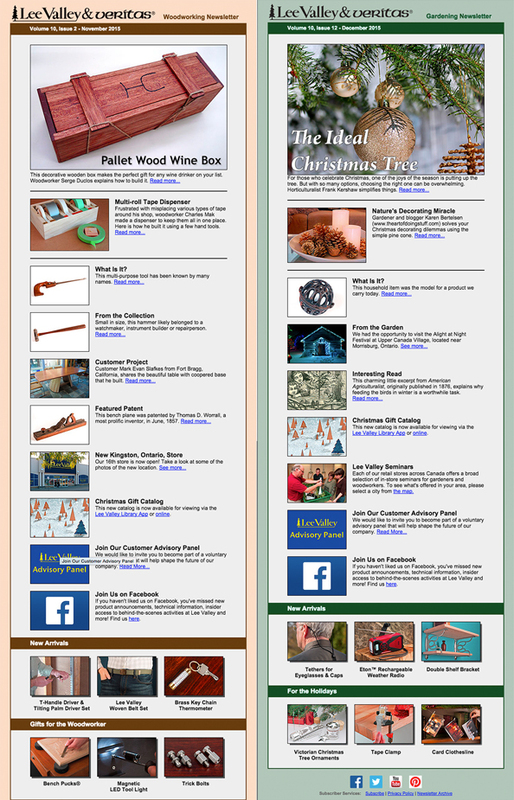 Lee Valley Tools, a pioneer in Canadian e-commerce, boosts catalogue and in-stores sales by sponsoring two different newsletters that appeal to its primary customers – gardeners and woodworkers. Mattress supplier Casper, on the other hand, decided to become the experts on sleep. Their site, Van Winkle’s, covers everything from the benefits of reading before bed to how rest affects consumers’ everyday lives. Not sure whether you’re there yet? Explore the content your competitors are developing, and across what media. Will your ads get through? Many people say they dislike disruptive ads that expand over content, track their behaviour, or make their web pages load too slowly. As a result, they block them. In fact, there are now some 198 million active adblock users around the world, according to recent data. The solution, of course, is to give consumers something that feels less like an ad and more like content they might otherwise choose to read or watch. But so called native ads really only work if the brands that use them can maintain a steady supply of engaging, new content. Do you have that capability? Some in the industry predict that the increasing use of such blockers will actually lead to greater conflict between marketers and consumers. As more people block ads, advertisers will look for new ways to reach them, including hiring more third parties to ensure their ads get through to the consumer. One service detects visitors who are using ad blockers, offering a welcome message extolling the value of the website and explaining that it can’t function if too many people block ads. If that doesn’t work, the system kicks by refusing to offer up the site’s content until they do. As a last resort, it bypasses blockers altogether and serves up the ads anyway. Not sure whether you’re there yet? Evaluate the content and cost-effectiveness of your advertising campaigns. Smartphones are the bridge between the digital and the physical worlds, particularly when a digital element is layered over a physical object to provide additional sensory input. Augmented reality provides audio, video, and additional imagery to entice customers in new and exciting ways. Too gimmicky? Perhaps, but one recent report predicts that revenues related to augmented reality will hit $600 billion by 2016, particularly in industries such as tourism, e-learning, and e-commerce. 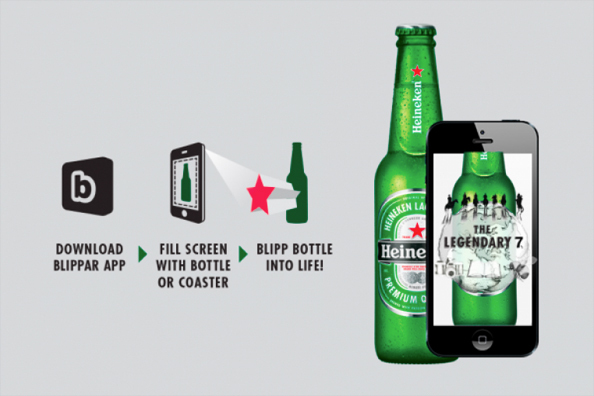 One recent example: Heineken introduced scannable beer bottles for its Legendary 7 campaign, which focuses on the seven farmers around the world who grow sustainable crops and barley for brewing Heineken. By scanning the bottles’ labels with an augmented reality app, users unlock additional immersive content, including an animated film and more about the farmers’ lives. Not sure whether you’re there yet? Look for ways where your products and services could gain traction through AR. Not everything has to be brand new. While it’s essential for marketers to embrace new approaches and technologies, never discount what’s worked before. With a solid track record for building brand loyalty, direct mail continues to outpace its digital counterparts, even as those services multiply. In fact, direct mail has been enhanced by these newer technologies in many ways. Tangible mail, for instance, still remains ideal for encouraging leads to visit a webpage, getting customers to buy online or collecting information from prospects. And while digital advertising may initially seize the attention of consumers, physical media hold that attention longer, prompting a greater emotional reaction. Direct mail is also visually processed more quickly than digital media, requiring less cognitive effort to process, thus making it far more persuasive in creating brand recall. This is particularly true when creative elements appeal to more senses beyond touch. The more senses that are engaged, the more attention the brain pays, and the greater the payoff. Not sure whether you’re there yet? Get help connecting the digital and physical worlds. Contact a Smartmail Marketing expert. Put your ideas into action!